5'1 is the new 6'2: This running girl can! Ask me six months ago if I’d ever have signed up for the Great North Run and I probably would’ve said ‘yes’, but with absolutely no intention of going through with it. Ask me today and I can firmly say I’m running the Great North Run 2016 for the British Heart Foundation on September 11. For those of my friends/family that have known me since I was a kid I can completely understand the sheer gob smacking shock you’d have to here this. This is because I’ve never been an exercise lover. I like swimming and things like moky – activities where it doesn’t really feel like you’re doing exercise but the idea of leaving the house to run somewhere and run home was a horrific idea and I didn’t think I would ever have done it! This all changed last November. 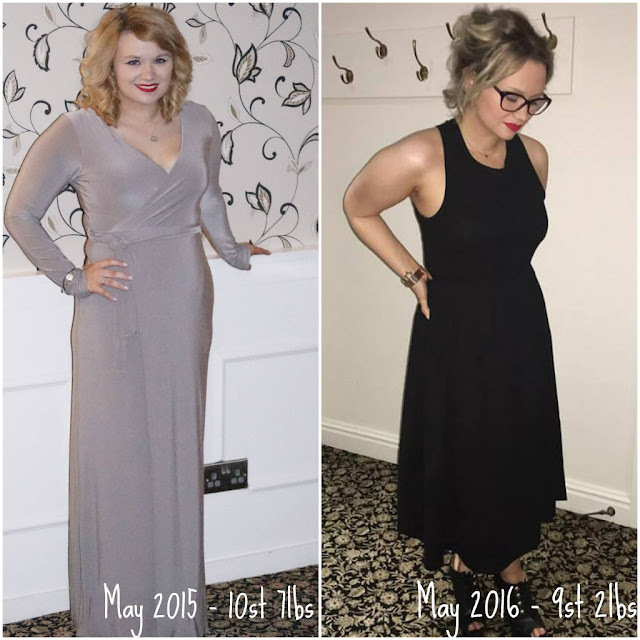 I’d just found out I had coeliac disease and I will be truly honest with you all now – I’d gone up to a size 12 and was 10st 7lbs. This is the heaviest I’d been since I was 16. I know this is pretty average for the UK, but when you’re 5″1 like me, the weight doesn’t sit right and – no I was not fat by any stretch of the word- I was fairly chubby and unconfident with my looks. My confidence had dipped from when I was cyber-bullied by my chap’s ex and her friends for years and my weight suffered as a consequence. So I thought, with the control I had to have over my food intake I would also take back control of myself and not let those bullies get me down anymore. So I literally got up one early morning while I was studying my MA in Brighton and went for a run around the village I was living in. I still remember my first run – I did a mile in 22 minutes. As the days and weeks went on I would do a mile in 18, then 15 minutes and eventually around 10 or 11. My weight dropped I went from 10 st 7 to 10 st 2 in December, then by New Years Eve 2015 I was 9 st 12 and I could fit in my older/smaller clothes. But eventually it wasn’t about losing weight, my Mam had died of a heart attack and defect and keeping my heart strong really prompted me to push my running from a mile every other day, to every day. Then my fiancé said: “Why not try and go further.” So I did. In the meantime I’d done a few charity runs and a couple of 5k’s and I was ready to try and push myself further. This is when I started looking at a site called Darebee, which had different running programmes and exercises, and saw a 1/2 marathon training and I though ‘yeah, I could do that’ – though, I had my doubts. With this in mind, I decided I would likely do better at the programme if there was a goal at the end of it, so I signed up for the Great North Run 2016, in memory of my Mam. As I wrote this I can, with immense amounts of pride, say I’ve finished week 4 of the programme and racked up 58 miles of running. Because it became part of my daily routine, I can’t imagine a week where I don’t do four or five runs and two workouts – even on Sunday’s. I also didn’t notice how I was toning up until I went shopping and a size 10 was a loose fit on me (this is not saying I’m a size 8 AT ALL just that one item.) and my weight is down to 9st 2lbs. Now I’m pretty happy with how it’s going and no, I’m no running addict – in fact I hate it, I despise it, but I know if I get up every morning and do it it keeps me healthy, strong and fit-er than I used to be! So at the end of it, the bullies haven’t won, because I feel better than I did before they started and I’m working towards something I never thought I’d do! Just keep running – #thisgirlcan and #runninggirl have now become, to much dismay of others I imagine, my go to hashtags on twitter with all my post-run selfies! Please follow my progress on Instagram and if you can donate to BHF for my GNR16 1/2 marathon!